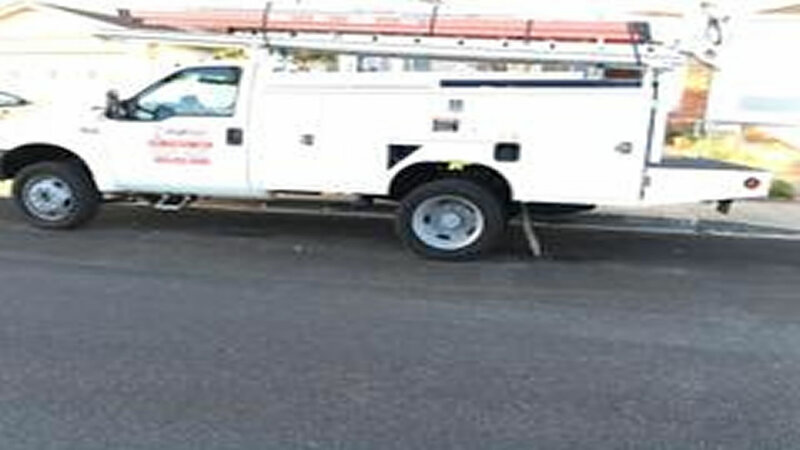 FREMONT, Calif. (KGO) -- A 1999 Ford F450 truck was stolen in Fremont from a family business called Singh Signs and police are seeking help in finding the suspects. Magnetic signs bearing the company's name can be seen on the side of the Ford F450 Bucket truck. The truck bears two locked tool cabinets, dual tires and LED lights on the side and back. The truck was storing five ladders of different lengths when it was taken. The suspects were allegedly driving an older blue Toyota Corolla with a worn paint job and a white cargo van with a lift gate and paper license plates. The three suspects have been described as two men with stocky builds, one in a black T-shirt with a white ogo and the other in a white one. The second man is said to have been wearing sunglasses and has short hair with a salt and pepper goatee. The third suspect is a female. Anyone with information about the case has been asked to call Detective N. Johnson at 510-790-6925. You can also email him at NJohnson@fremont.gov.